Jesus The Healer | Jump for Joy! God Does Not Take Too Kindly To Anyone Attacking His Home! Jesus was ready to open the prison doors and set the captives free! The first captives to Whom He gave His Attention were those who were imprisoned by sickness. Illness comes in many forms. At its root, sickness is an attack on The Temple of The Holy Spirit. Remember how Paul exclaimed in disbelief that his followers had not grasped an important Truth. He addressed that Truth twice In his first letter to the Corinthians! and you are That Temple! Therefore, honor God with your bodies! Oh Please God, Let Me Head Up Your Death Squad! King David rightly stood in awe of the Temple God made through the creation of a human body. He rightly identified God as His Creator. But somewhere along the way, David lost his reverence for the other Temples that housed God’s Spirit. The more David killed, and the more he was the center of parades celebrating how many people he had killed, the more addicted to the praise David became. and I made plans to build it. God was not going to let a man, who was famous for his attacks against His Temples, be associated with building what would be said to be a Temple of God. But You Know He Needed Killing! I Did It For You, God! But wait, weren’t the people David killed bad people? This begs the question of whether it is good to eliminate evil people. Are there some people who just deserve to be killed? Since it seems God took a tough stance on that issue with David, let’s look at what Peter said about how God sees things. God protects His Temple, as it is where He lives with us. He is present, even among those who appear evil to us. What He created, He has created. His Home is His Home. And He eagerly waits for the tenant of the Temple to turn on the Lights inside. Sometimes those who appear evil are in the greatest need of someone telling them where to find the Light Switch! Jesus Decided Who Should Be Healed! Sickness of the mind and/or body is an attack on The Temple. There are various sources of illness. Jesus did not try to categorize the types of sickness. He did not blame anyone for bringing those illnesses. He didn’t judge whether those who were ill were good or evil or whether they “deserved” to be healed. His Desire was as Peter recorded it. He did not want anyone to perish. Jesus moved from person to person, removing any obstacles that stood in the way of receiving the healing He brought. And He healed them all! We’ll talk more in the next blog posting about Jesus’ Ministry of Healing, but for today, let’s look at His First Stop on His Healing Mission. Is This a Church or God’s Hospital for Sick People? Remember, satan never leaves for good. Jesus had hardly finished proclaiming His Mission, when the devil was back. This time, he brought along at least one of his demons. Luke 4:31-36 records that Jesus continued teaching. 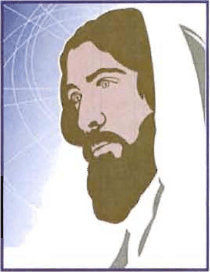 We find Jesus in the synagogue again. And there was a “man possessed by a demon, an impure spirit.” We don’t like to think of people in church, being plagued by any impure spirits. But nowhere on earth is exempt from satan’s work. He delights in being able to infiltrate God’s Army. What do you want with us, Jesus of Nazareth? On the surface, this might sound great. Someone in church, calling on The Name of Jesus and acknowledging Him as The Holy One of God! But what is wrong with this picture? It was another of satan’s devious ploys. Satan chooses when to hide and when to come front and center. We don’t know how the man acted before Jesus arrived. It is likely he looked and acted just like a regular synagogue attendee. So what the man was now speaking may have simply sounded like a man concerned that Jesus was going to destroy them all! The reference to Jesus as “The Holy One of God” may have been a little sarcastic twist, playing on the fears that were already spreading that Jesus was claiming a divine connection. Satan probably chuckled at the thought of calling Jesus out. So what if satan’s victim now seemed crazy to the synagogue crowd. What better way to portray Jesus as a true mad man than to have a mad man testify of Him? “Be quiet!” Jesus said sternly. Jesus was in Command! Satan complied and retreated! and came out without injuring him. Jesus had successfully set the captive free! spread throughout the surrounding area. Satan’s plan had backfired. Now people were talking about whether Jesus might indeed be the Holy One of God. And they were calling Him by Name. And they were talking about how He had more Authority than satan and any of his demons. Satan knew it was time for a team huddle. He began planning his next move and looking for new victims. Jesus, meanwhile, moved on in The Power of The Holy Spirit and with the certain knowledge that His Father was very pleased! Do you know that your body is The Temple of The Holy Spirit? How do you care for The Temple? You are the gatekeeper of The Temple. Do you check every thought at the door? Do you “bounce” any impure thoughts before they can make themselves at home? When you look around you at others, do you see other Temples of God’s Holy Spirit? How do you feel about the knowledge that God created even those you believe to be evil? Do you believe God wants to shut down TheTemples of those living in darkness …OR … does He want the tenants to turn the Lights on inside? Take a moment to consider the case of Saul, the ultimate terrorist, who became Paul, the evangelist. Could God do it again with those we call terrorists? If you wanted to build a Temple for God, would He let you? Posted by carolynpriesterjones on April 8, 2014 in Christian, Encouragement, Joy and tagged Christian, devil, Encouragement, god, Holy Spirit, How God feels about killing, impure spirit, Is Killing Right, Jesus, Jesus heals, Joy, satan, Your Body is The Temple of The Holy Spirit. Excellent focus on our bodies being God’s temple. Spent last night on ER and this afternoon in MD office and now editing for medication due to an attack on my husband’s temple. It takes a lot of energy, time, money, & life focus and definitely distracts from sharing the message of God’s love. We need coummunity to have abundant life.